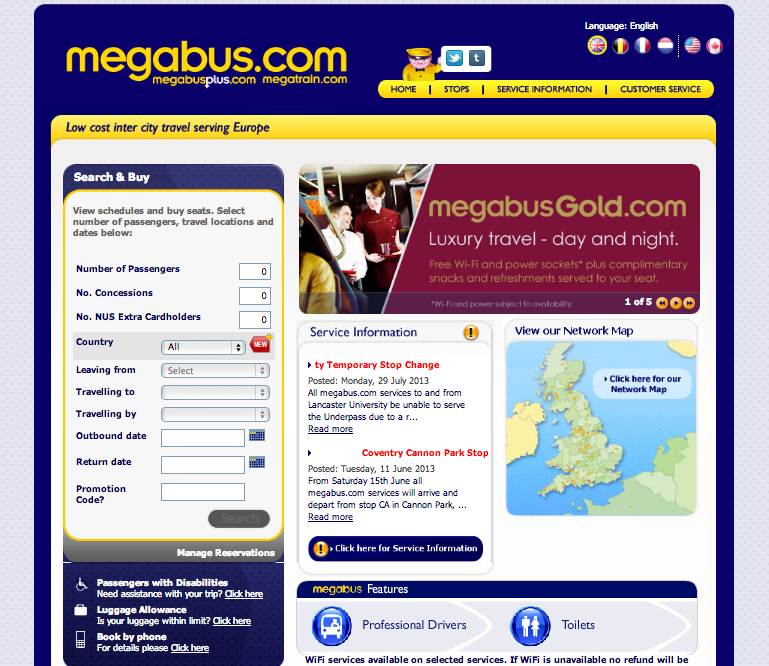 Megabus UK offers cheap bus tickets starting from as little as £1 for travelling in the UK. Through Megabus UK you can also find and book cheap bus tickets for traveling through Europe including Paris, Boulogne, Brussels and Amsterdam. Megabus currently offers 1 million £3 fares for 42 destinations across the UK. While Megabus is one of the cheapest travel companies around, the services it provides are generally agreed to be pretty poor: in most cases, you get what you pay for. While those trying to save as much as possible might want to try it out, it may be better to go to their competitors- unless you don’t mind problems, and aren’t under any time limit.